Just 35 minutes away from the centre of Auckland by ferry, Waiheke Island is a warm, dry spot lined with beautifully golden sandy beaches, mysterious coves and rocky bays. The island has green credentials thanks to the hippies and artists who were once the main inhabitants, but these days it’s a desirable, and commutable, spot and the best places to stay on Waiheke Island include plenty of lovely modern lodges as well as B&Bs taking advantage of the incredible sea views. Most of the island’s sandiest, most perfect beaches can be found on the ocean side, while the other coastline is rockier, lined with pretty bays and clear waters. The interior is dotted with vineyards and olive groves, and with boutique wineries and olive presses. The wineries, and the wealthy commuters, have brought about the introduction of boutique-y restaurants, galleries and shops. This is also a great place for windsurfers, sea kayakers and fisher-folk. If you're into wine then spend your days off on tours of the area's many wineries, including among others: Man O' War Vineyards, Tantalus Estate Vineyard & Winery and Batch Winery. Waiheke Island has a small historic village, with several restored buildings and exhibitions revealing the island’s past. Spend a few hours wandering around Connells Bay Sculpture Park, full of wonderful art and offering simply fabulous coastal views. 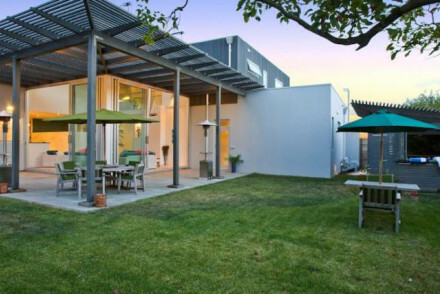 The island is a hugely popular destination, so if you want to book one of the best places to stay in Waiheke Island don't leave it till the last minute - you'll only be disappointed. 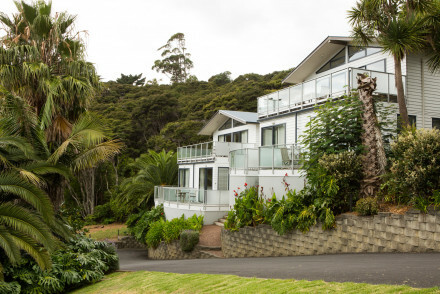 Enclosure Bay is a bright, modern B&B with panoramic view over the Hauraki Gulf and its islands - you may even see a dolphin or an orca from your room. Each of the rooms has a private terrace, and there’s an outdoor spa pool. 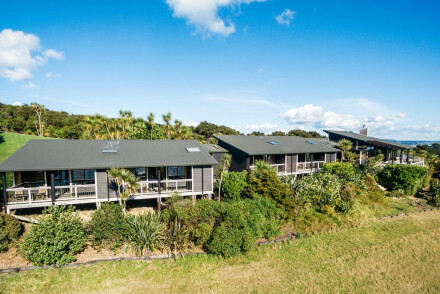 Te Whau Lodge is a boutique style lodge with large, airy rooms and panoramic views across Putiki Bay. There’s an outdoor hot tub, a library and open fireplaces, so this is a lovely spot in any season. 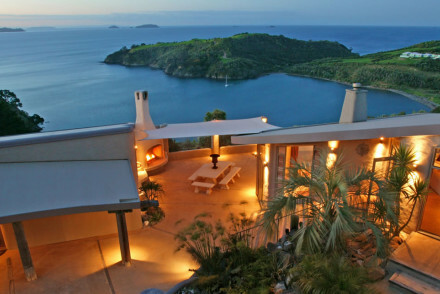 The Waiheke Island Resort is a collection of chic, modern apartments and studios, all with kitchen facilities. You’re just five minutes from Palm Beach, and there’s plenty of outdoor seating, a pool, bar, restaurant, hot tub and tennis courts. 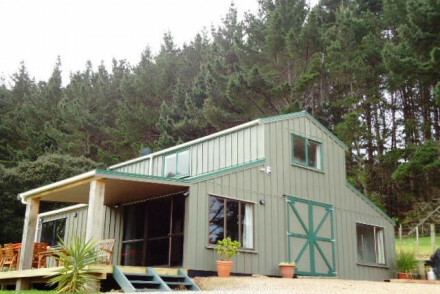 Dellows Waiheke is another collection of self-catering apartments and cottages, this time set across eight acres in the heart of the island’s wine country, just ten minutes walk from Onetangi Beach. Each apartment has its own private outdoor space. 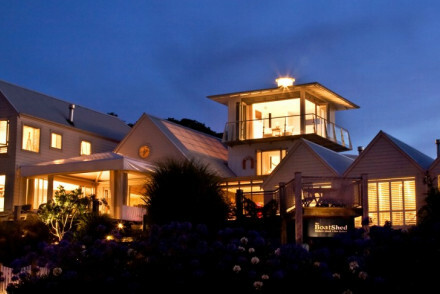 Delamore Lodge is a boutique style lodge overlooking Owhanake Bay. The five rooms are modern and romantic, with floor to ceiling windows exposing the spectacular views. You’re not only close to unspoiled beaches, but also wineries and scenic strolling routes. 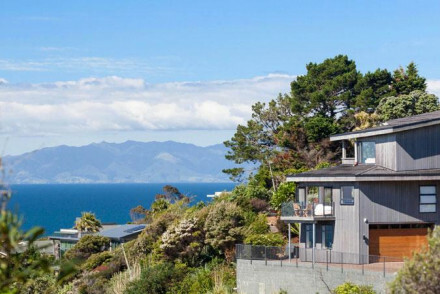 The Boatshed is a luxury coastal retreat overlooking Oneroa Beach. A perfect spot for romantic but laid back beach style. Set right on the coast, the charming Hei Matau Lodge offers modern, sea-facing rooms and great views. There’s a swimming pool, hot tub, kayaks, golf clubs and bikes available, plus a semi-private beach. If you think you'd be best served by a self-catering option then browse though the wide variety available online with our partner Booking.com. If you plan on spending your days outside exploring the lovely countryside then it's obviously best to visit in the summer, from November to April. January and February are the warmest months, experiencing average daily temperatures of 19°C. International visitors can fly into Auckland Airport before then hopping on a passenger ferry across to Waiheke Island. 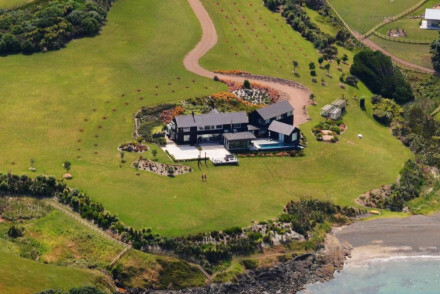 Browse though our list of all the best places to stay on Waiheke Island. Alternatively, widen the net and check out all our North Island recommendations.